Just a quick update here: We’re working on finalizing the new tutorial panel which is currently the only thing blocking a default release of Alpha 30, a long with a few other bugs. We’re right now focusing on completing the panel so that we can get it out for an experimental release and then move on to a quicker deployment pace. Will that release happen today? Maybe, not sure yet, running a series of test and tutorial tests are of course very lengthy and demanding in their nature. If not tonight then definitely tomorrow, however. 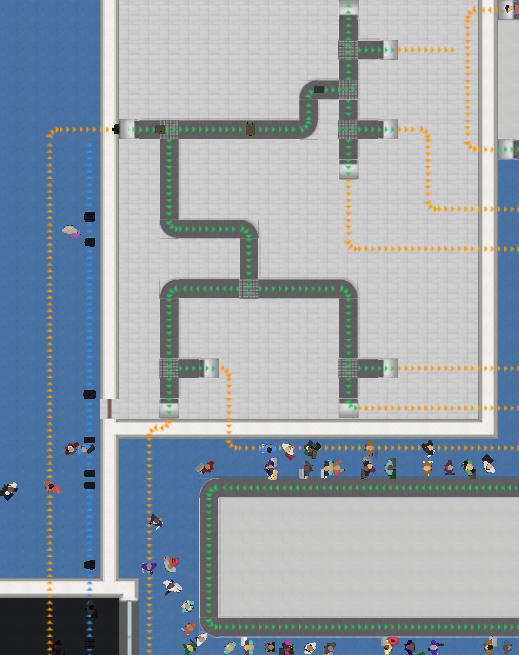 I have a question… so the two blue circles at the top right, the bags disappear when they’re about to get loaded on the baggage bays. But the check-in desks display an error, and I cannot find it… Any help? Thanks. Have you checked the path underneath the walls? 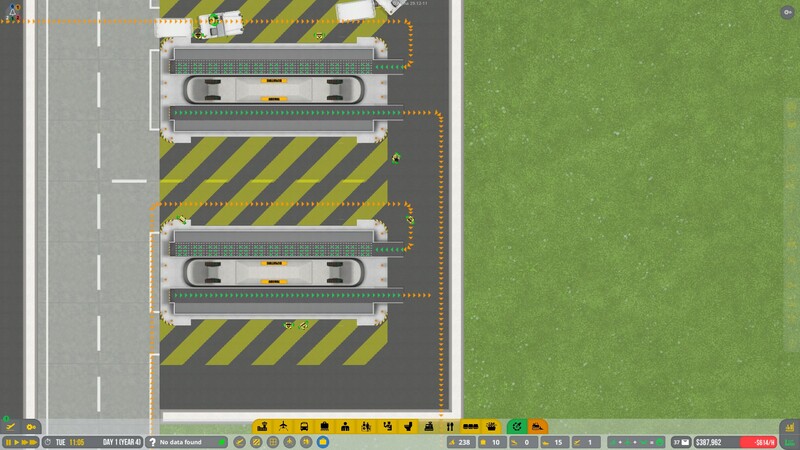 Do you have conveyor belts there? 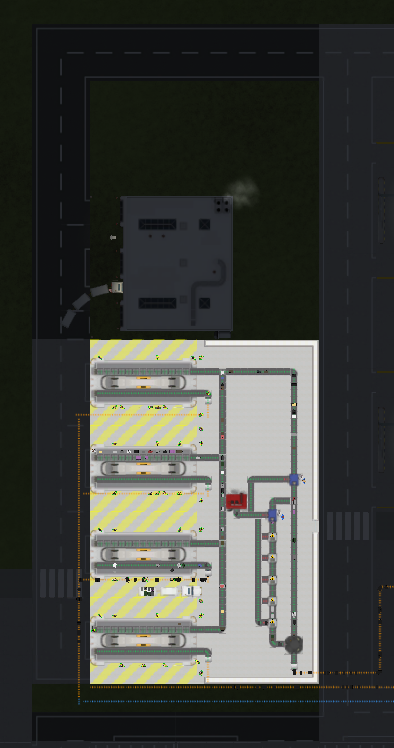 Seems your bags cant reach their destination, i’m suspecting you dont use a tilt tray to reroute bags at the split, but your blue circle is in the way of verifying that. I think we will need a few more close-range screenshots to determine your issue, but I recommend that you create a separate thread for this since it’s most likely design related and not Alpha 30 related. Will do, but here is one close-up. 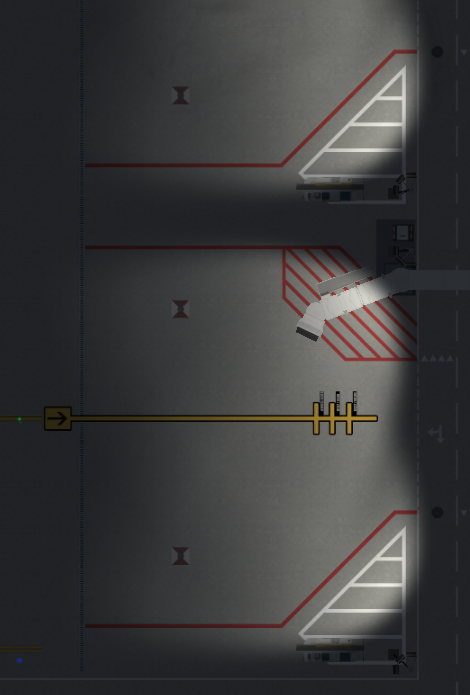 Someone else had the same problem, make sure to have short distance road between pickup of baggage and drop-off at the carousel. Tip; assign vehicles to stands, so baggage can offload ASAP without first calling a vehicle to the stand. @Olof - btw, I found out that all kind of vehicles have no sell value, or a sell value of ZERO. 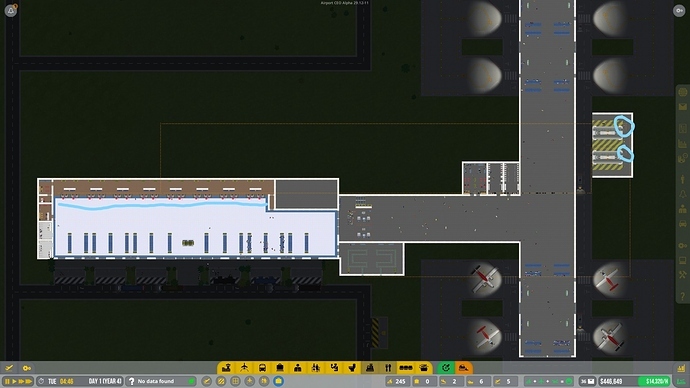 Why is the demolition tool for deleting terminal space a 1 * 1 block, and not a 5 * 5 block? Alpha 30.1-0 is out! Contains a series of bug fixes, some construction simulation polishing and of course the new interactive tutorial panel! With this out on the experimental branch next week will mean a higher deployment pace with daily updates and a default release for Alpha 30 targeted for the mid-week. Hmmm is that iPhone X? My remote stands are not receiving ramp agent service. 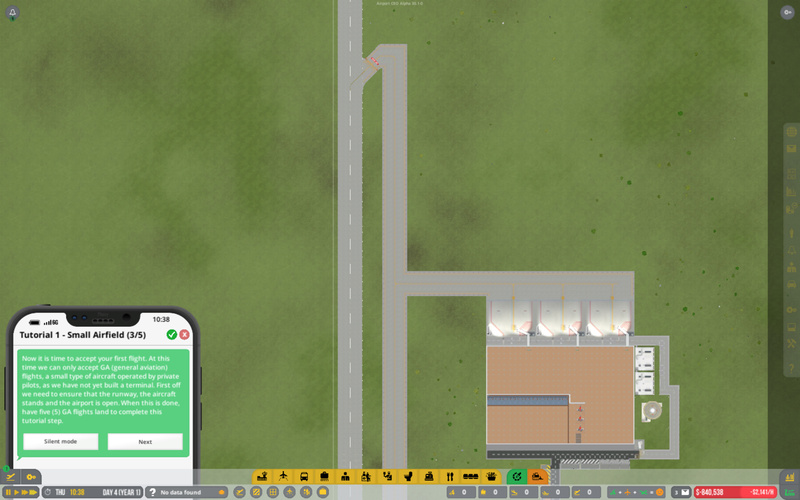 Bug 11813 has a picture of a remote stand, with an assigned service car, ramp agents waiting at its assigned service car stop, but the car is just sitting on the stand, not going for the ramp agents. The flight has become delayed at this point. In the same bugs (same airport) my small remote stands are getting ramp agent service (or so it seems by time I am notified it is delayed), but the baggage loading/unloading portion of the service round is what always holds up an on time departure; the services trucks are definitely NOT contributing to the delays. The ramp agents either get the bags offloaded from the incoming flight, but leave before they need to load the outgoing flight’s baggage, or no baggage service occurs at all; the stand status shows all other turnaround services completed. 11816 - It seems that remote buses do not go to get passengers if the flight is delayed past a certain point, especially when the assigned bus for the stand in question is free to go do the task. The system never assigns a vehicle for the vehicle job task, which in the vehicle job task panel shows as available, even when it is past a delayed departure. What is going on with remote stands? No no, it’s the Phony! Will check your bugs today, in general it’s one of the more complex systems and needs to be bug fixed and balanced for a wide arrange of different situations. This is similar to how baggage was tweaked over several months before becoming stable. New update rolling out later this afternoon! It should yes, I noticed a pic of one on a grass stand and it didn’t look correct at all. There is no system in place for guaranteeing that the SF50 will land or park on a non-grass object, however there are features blocking it from arriving at all if you only have grass objects. Not the best solution but a current limitation of the system.